artwork. 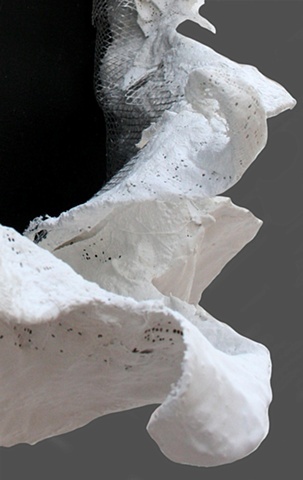 > structure within a canvas. 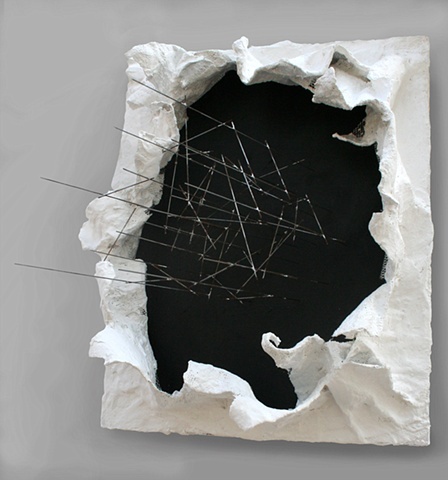 A soldered wire structure emerging from the canvas with a black surface. 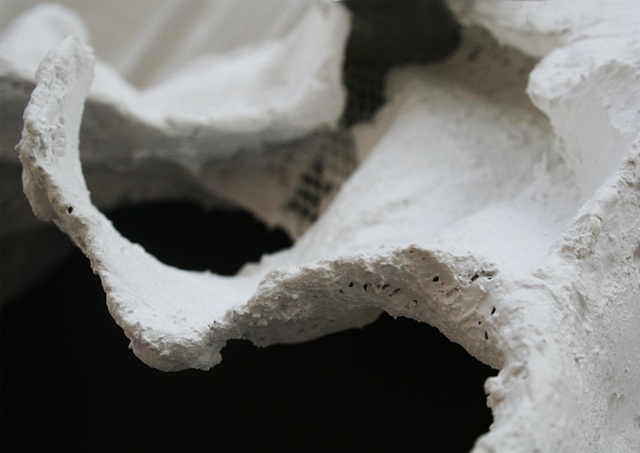 Plaster surrounds the structure as if it were pulled off the existing canvas. 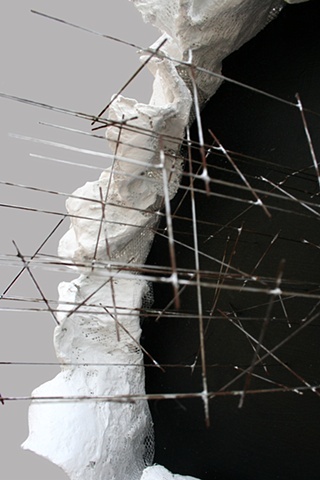 Music wire, plaster, and wire mesh were used.